Intelligence Transparency - But For What? Tuesday, 12 February 2019 - MacDill AFB, FL - The Florida Suncoast AFIO Chapter hears FSO Nancy Charles-Parker on "War Stories" from Saudi Arabia, South Africa, Central Asia, South and Central America, Europe, the Arabian Gulf and East Asia. Saturday, 16 February 2019, 11:30am - 2 pm - Melbourne, FL - AFIO Florida Satellite Chapter hosts Dr. Rande Matteson, former DEA, speaking on "Compare and Contrast, Pakistan v. Mexico: The observations of a DEA Special Agent immersed in the shadowy cultures of Mexico and Pakistan." Everyone got what they wanted. Except you. Now get something for yourself. These are also appropriate for intelligence officers, colleagues, recruitments, agents, advisors, and family. 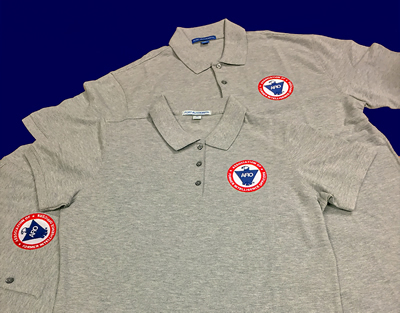 Show your support for AFIO with our new Polo Shirts. Be the first to buy these new, high quality, subtle heathered grey shirts of shrink and wrinkle resistant fine cotton with a soft yet substantial feel. They feature a detailed embroidered AFIO seal. Get a shirt for yourself and consider as gifts for colleagues, family, and friends. Only $45 each including shipping. Sizes of (M) men or (W) women shirts; Small, Medium, Large, XL, XXL, and XXXL. At this time all orders will arrive as Short Sleeve shirts. You may pay by check or credit card. Complete your order online here or mail an order along with payment to: AFIO, 7700 Leesburg Pike, Ste 324, Falls Church, VA 22043-2618. Phone orders at 703-790-0320. If interested in other shirt colors or sleeve lengths, contact Annette at: annettej@afio.com. NEW: Mug with color glazed logo. Made in America. (We left out all that lead-based glaze and hidden toxins in those mugs made in China being sold by other organizations). Also sturdy enough to sit on desk to hold pens, cards, paperclips, and candy. This handsome large, heavy USA-made ceramic mug is dishwasher-safe with a glazed seal. $35 per mug includes shipping. Order this and other store items online here. The International Spy Museum is launching an inaugural volunteer program before moving to the new L'Enfant Plaza location in 2019. Our volunteers will be the first to experience this new and expanded vision of SPY and will provide a vital role in establishing a robust team dedicated to serving and engaging guests. Click image below to view full page. To find out more, please visit HERE. The National Cryptologic Museum Foundation's 2019 Spring Cryptologic Program features C. Eric "Rick" Estberg, author of the book Berlin Daze. Following his presentation, a book signing and lunch will take place from 1145 to 1300. Books will be available for purchase for $20. Learn more about Mr. Estberg, his presentation, and his book below. Berlin Daze recounts dozens of Estberg's adventures and unique experiences over a seven-year period in walled West Berlin, as an Army NCO and an NSA civilian. As a "Cold Warrior" he served literally on the front lines, separated by only a few miles from hundreds of thousands of Soviet and East German soldiers. Unlike others who spent much of a career in those days simply training for some possible future crisis, Rick actually lived his real-world mission, day-in and day-out, along with hundreds of others of talented, dedicated military and civilian intelligence specialists. Registration: The registration fee includes lunch. It is $25 for members and guests. To register now online follow this link. Event Location: CACI Inc., Maryland Conference Center, 2720 Technology Dr, Annapolis Junction, MD 20755. Google map link here. More about this event, about the author or book, is here. 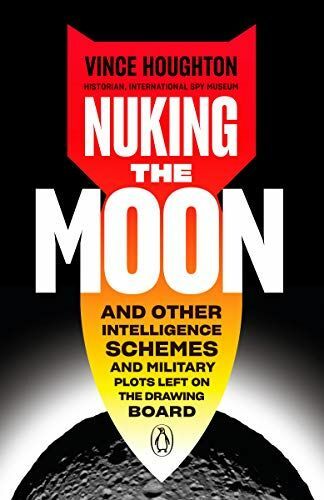 Houghton, the International Spy Museum's Historian, surveys 24 outlandish, abandoned plans of US military and intelligence agencies, such as building ships out of ice and sawdust, using cats implanted with recording devices as spies in Russia, and nuking the moon -- all schemes were ultimately deemed too dangerous, expensive, ahead of their time, or even certifiably ludicrous. Houghton uses these schemes to show that WWII and the Cold War were periods of desperation and innovation; a combination that led to brilliant missions and technological advances. For every Argo or Operation Mincemeat, there were countless abandoned plans deemed laughable, irrational, or impossible. Plans included the US Navy's plan to turn bats into flying firebombs; the Kennedy administration's plan to build a command center 4,000 feet underground; and the cornucopia of US plans to attack Cuba. Through archival research and interviews, Houghton reviews twenty-four of these abandoned plans, and recounts the story behind each one. A CIA security officer recounts a twenty-four-year career protecting America's intelligence personnel and senior USG Officials against a backdrop of the War on Terror. Pecora pulls back the curtain on the little-known activities of CIA's Protective Operations Cadre (POC)―security teams who work on the front lines in some of the most dangerous places in the world. Somalia was Pecora's first deployment as a POC officer. He later headed up a series of the Agency's undisclosed protective operations teams. The existence of these teams was first exposed during the famous 2012 battle in Benghazi when the Annex Security Team saved the lives of the State Department employees, the subject of the movie, 13 Hours. From 1989 until his retirement in 2013, he was assigned to multiple war zones across Africa, Latin America, Southeast Asia, Europe, and the Middle East, doing the kind of work known to few. It includes the encounter known as Black Hawk Down, the hunt for Osama Bin Laden, and the hotbeds across the Middle East where fires continue to burn. Over the course of a career that saw him receive the Career Intelligence Medal, Intelligence Star, Meritorious Unit Citation, and numerous Exceptional Performance Awards, Pecora distinguished himself as a Protective Operations Cadre (POC) member and as a CIA Security Officer. 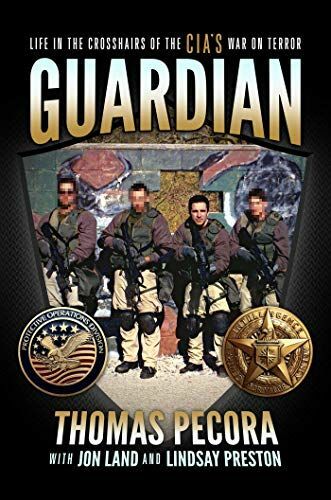 Pecora shows the he's prepared to shed light on the world of clandestine protective operations and the selfless, heroic warriors dedicated to keeping the US safe at all costs. 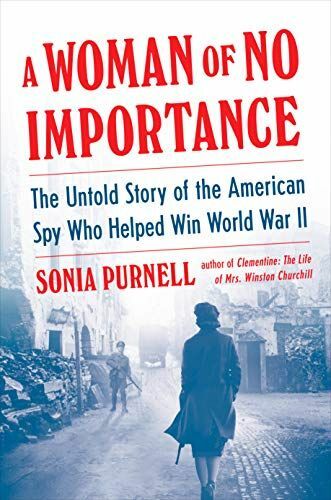 The target: Virginia Hall, a Baltimore socialite who talked her way into Special Operations Executive, the spy organization dubbed Winston Churchill's "Ministry of Ungentlemanly Warfare." She became the first Allied woman deployed behind enemy lines and—despite her prosthetic leg—helped to light the flame of the French Resistance, revolutionizing secret warfare as we know it. Virginia established spy networks throughout France, summoned weapons and explosives from the skies, and became a linchpin for the Resistance. As her face covered wanted posters and a bounty was on her head, Virginia refused orders to evacuate. She finally escaped through a hike over the Pyrenees into Spain, her cover blown. But she plunged back in, adamant that she had more lives to save, and led a victorious guerrilla campaign, liberating swathes of France from the Nazis after D-Day. ODNI Releases Annual Overview of Islamic State and al Qaeda Networks. The Office of Director of National Intelligence (ODNI) released its annual "Worldwide Threat Assessment" today. The written statement accompanied oral testimony given by Director Daniel Coats to the Senate Select Committee on Intelligence. The ODNI warns that both the Islamic State and al Qaeda maintain global networks that are far from defeated. The Islamic State still has "thousands" of fighters in Iraq and Syria alone, contradicting claims by President Trump and other administration officials that the so-called caliphate has been defeated. Department of Justice Reveals Effort Targeting North Korean Hackers. On Wednesday, the Department of Justice (DOJ) revealed an ongoing effort to disrupt a North Korean botnet, or "global network of numerous infected computers under the control of North Korean hackers." DOJ's action serves as a reminder that North Korea poses a threat to the U.S. and its allies not only with its nuclear and conventional weapons, but also with a wide range of asymmetric capabilities including cyber operations. DOJ's target is the Joanap botnet, which it described as a second-stage malware spread by a virus called Brambul. Joanap and Brambul have persisted since 2009 despite the availability of antivirus software capable of defending against or remediating infections. Last May, the U.S. Computer Emergency Readiness Team (US- CERT) issued a technical alert on both Joanap and Brambul, which reportedly has compromised 87 network nodes across 17 different countries. This latest action follows DOJ's charges against Pak Jin Hyok, a North Korean computer programmer involved in several North Korean cyberattacks. 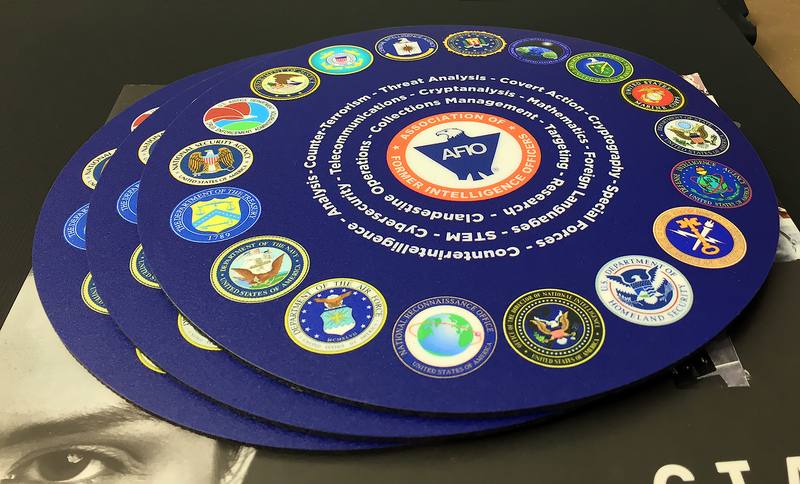 Intelligence Strategy Outlines Measures for a Complex Threat Environment. A new strategy for U.S. intelligence looks to improve integration of counterintelligence and security efforts, increasingly address cyber threats, and have clear guidance of civil liberties, privacy and transparency. As outlined in the U.S. National Intelligence Strategy (NIS), from Director of National Intelligence (DNI) Dan Coats, the intelligence community is facing a turbulent and complex strategic environment, and as such, the community "must do things differently." 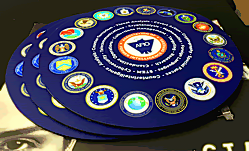 The Office of the Director of National Intelligence (ODNI) released the strategy, which will guide the efforts of the 17 organizations of the U.S. intelligence community (IC) - the Central Intelligence Agency (CIA), Defense Intelligence Agency (DIA), Federal Bureau of Investigation (FBI), National Geospatial-Intelligence Agency (NGA), National Security Agency (NSA) and other agencies - for the next four years. How Will the Army Use Electronic Warfare? The Pentagon's Weapon Tester Wants to Know. The Pentagon's top weapons tester said the Army needs to more clearly establish how it will use electronic warfare systems as it conducts a significant, years-long initiative to rebuild its jamming capabilities for the first time since the Cold War. According to the annual report from the director of operational test and evaluation, the Army's current publications don't clearly help units refine their "tactics, techniques, and procedures" or for organizing and using electronic warfare on the battlefield. 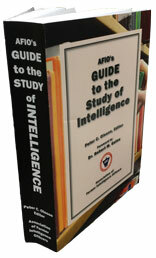 Moreover, the report noted that "procedures for coordination between intelligence and EW are evolving." The report, released Jan. 31, added that "as the Army refines doctrine, it will need to place emphasis on coordination between EW and intelligence to provide EW crews with the essential information required to discern between friendly and enemy signals." Can the Government Make Cyber Cool for College Grads? One by one, six intelligence officers made a pitch for tech-savvy college graduates to join their ranks. "There is nothing more rewarding than protecting the American people," FBI Director Chris Wray said when asked by Senator Richard Burr, R-N.C., how the government can draw in engineers and ingenuity to help secure the nation in the face of big data-driven adversaries. "If it's cutting edge, we will be doing it in the National Security Agency," added NSA chief Paul Nakasone. It's No Secret That Espionage Is This Collector's Passion. "There are probably more spies in America now than at any other point in our history," said H. Keith Melton, a longtime historical adviser to the C.I.A. who has spent the past few decades obsessively researching international espionage while amassing a sprawling collection of spyware from all sides, predating and spanning the Cold War. "I preserve and protect; I don't look at things politically." To that end, he's donating the bulk of his collection - more than 7,000 items - to the International Spy Museum in Washington, where he's on the board. Devices heading to its new 140,000-square-foot headquarters include a Nazi Enigma code machine abandoned in France by a German unit fleeing advancing American soldiers, one of whom took it home after the war; a 13-foot-long British "Sleeping Beauty" submarine that allowed a single sailor to slip undetected into an enemy harbor; and a British-built World War II-era cigarette that fires a .22-caliber bullet. 'The Registry' Shows Vets Fighting to Preserve Legacy of Military Intelligence Service. "The Registry," a film highlighting Japanese American soldiers whose exploits with the Military Intelligence Service in World War II helped the Allied Forces defeat Japan, will screen Feb. 23 at 4:45 p.m., during the Nichi Bei Foundation's eighth annual Films of Remembrance program at the New People Cinema, 1746 Post St., in San Francisco's Japantown. The documentary by Bill Kubota and Steve Ozone focuses on a number of Nisei veterans in their twilight years as they reflect on what they did in the MIS. "With many Americans of that generation, the war remained central to their minds more than 70 years later," Kubota explained in an e-mail. "We wanted to gather their thoughts before they were gone." Inside the UAE's Secret Hacking Team of American Mercenaries. Two weeks after leaving her position as an intelligence analyst for the U.S. National Security Agency in 2014, Lori Stroud was in the Middle East working as a hacker for an Arab monarchy. Stroud and her team, working from a converted mansion in Abu Dhabi known internally as "the Villa," would use methods learned from a decade in the U.S intelligence community to help the UAE hack into the phones and computers of its enemies. How a Slave-Turned-Spy Helped Secure Victory at the Battle of Yorktown. In the autumn of 1781, the American colonial army fought in the Battle of Yorktown, the final and arguably most consequential battle for American independence from British rule. By all accounts, this monumental victory, which forced the surrender of British General Lord Cornwallis and his squadron of nearly 9,000 troops, would not have been possible without crucial insider intelligence from James Armistead, a patriot who worked briefly yet effectively as a double agent for the Continental Army throughout the Revolutionary War. A Grandson Recalls William Donovan, Legendary Creator of the Office of Strategic Services. As David Donovan walked to the podium at the Palma Ceia Country Club to shake hands with the commander of U.S. Special Operations Command, I wondered what it was like to grow up with a grandfather as famous as William Donovan. Known colloquially as "Wild Bill", a moniker he apparently abhorred, William Donovan was a World War I hero and Medal of Honor recipient. But he is best known as the founder and director of the Office of Strategic Services, the forerunner of both the CIA and the military's Special Operations Forces. 'Willful Ignorance.' Inside President Trump's Troubled Intelligence Briefings. In the wake of President Donald Trump's renewed attacks on the U.S. intelligence community this week, senior intelligence briefers are breaking two years of silence to warn that the President is endangering American security with what they say is a stubborn disregard for their assessments. Citing multiple in-person episodes, these intelligence officials say Trump displays what one called "willful ignorance" when presented with analyses generated by America's $81 billion-a-year intelligence services. The officials, who include analysts who prepare Trump's briefs and the briefers themselves, describe futile attempts to keep his attention by using visual aids, confining some briefing points to two or three sentences, and repeating his name and title as frequently as possible. The Offbeat Genius of a Great American Spy. In 1976, the CIA's Moscow station heard some excellent news. One of its most prized sources, a well-placed Soviet diplomat who'd turned on the regime, had been transferred back to Moscow. The asset, code-named TRIGON, had already been supplied with the T-100, an experimental CIA camera concealed inside a pen, and was in a perfect position to copy scores of classified documents. China-Cambodia Military Fears in the Headlines with New US Intelligence Report. Last week, the suggestion that Cambodia could move towards changing its constitution to facilitate growing Chinese military presence in the country led to another series of headlines about Beijing's rising influence in the Southeast Asian state. While such worries are far from new, their continued articulation by U.S. officials reinforces the extent of the concern around such developments as well as the wider trends that they represent within the Indo-Pacific. As I have noted previously in these pages, while the idea of a deepening Chinese military presence in Cambodia under Prime Minister Hun Sen is far from new, there has been increased attention to this as both sides have been stepping up their defense ties and amid wider concerns including rising Chinese economic and security presence in Southeast Asia and setbacks to democracy in the region. Intelligence Transparency - But For What? The new National Intelligence Strategy released last week by DNI Dan Coats affirms transparency as a value and as a strategic priority for U.S. intelligence. The declared purpose of intelligence transparency is to raise public esteem for intelligence and to engender public trust. But because the policy is framed primarily as a public relations effort, the resulting transparency is limited unnecessarily. "Through transparency we will strengthen America's faith that the Intelligence Community seeks the truth, and speaks the truth," DNI Coats said. In Moscow, There's No Longer Any Line Between Spies, Lies & Terrorists. These days there's no term more likely to attract the nut fringe than "false flag." Citing it is a surefire way to rally online monomaniacs who believe that nothing in the world is as it seems to be. The belief that nefarious secret forces pull the strings behind events is for some as addictive as opioids. This is unfortunate, since false flag is a perfectly legitimate term in the espionage world, and it's far from new. Spies have masqueraded as someone else during their secret operations for as long as there have been spies. In extreme cases, intelligence services have undertaken terrorist attacks under a false flag to smear opponents and fool the public. Such cases, while rare, do occur. I was in the CIA. Trump's Petty Fights and Insults Will Make Us All Less Safe. The nation's top intelligence officials told Congress last week that President Trump is wrong about the success of his diplomacy with North Korea, that Iran is not attempting to manufacture a nuclear bomb and that the Islamic State is unlikely to be destroyed as quickly as the president claims. And they barely mentioned, in an annual report to Congress on the threats facing the United States, the "crisis" on the U.S.-Mexico border that Trump insists is a national emergency. But it was Trump's response to the Worldwide Threat Assessment that shocked me, a veteran of more than 30 years in the CIA's Clandestine Service. "Perhaps Intelligence should go back to school!" Trump declared in a Wednesday morning tweet. "The Intelligence people seem to be extremely passive and naive when it comes to the dangers of Iran. They are wrong!" The North American Society for Intelligence History (NASIH) invites proposals for papers for its inaugural conference, which will be held at the International Spy Museum, Washington, D.C. on October 19-21, 2019. Submission Guidelines: Faculty, graduate students, and independent scholars are welcome. See paper details here. Scholars interested in presenting at the conference are asked to send an abstract of no more than 500 words and a brief (1-2 page) CV to Mark Stout by March 1, 2019. Robert George Korn, 76, CIA Analyst in OSR, DDI, and avid kayaker, died 9 December 2017 in a fishing kayak accident near his home in New Smyrna Beach, FL. One of Bob's landmark analytical achievements was his Intelligence Report describing in detail Soviet Planning for Conducting an Air Operation against NATO in Europe: How the Soviets planned to suppress NATO air defenses to create corridors through which Soviet medium-range bombers would fly to attack NATO airfields. Using that early report, another outstanding update report on the Soviet Air Operation concept appeared a few years later. Bob, as an analyst, was well known for catching errors in DIA analytical reporting, e.g, mis-identifications of Soviet & non-Soviet Warsaw Pact military equipment. He had a keen eye for readily spotting phony, or "doctored," photos in Soviet military publications...years before "photoshopping" came into vogue. This ability was a reflection of Bob's attention to detail as a talented artist. Bob was whip-smart, full of life and energy, and never willing to accept conventional wisdom. Telling truth to power has become so cliche-ridden these days, but Bob knew what it meant and he never backed away from it. Bob and his kayak enthusiast friends floated (fell/crashed) down the roaring falls of Great Falls in Virginia. In retirement, Bob and Patty built a beautiful home overlooking the New River Gorge - spending summers in Fayetteville, WV and winters in New Smyrna Beach, FL. They were animal lovers and routinely called upon local WV police to help stop the caging of dogs for dogfights - where locals would bet on the outcomes. Near their Fayetteville home, Bob and Patty established the New River Humane Society (NRHS) for abused dogs, naming the facility "Canine Cottage." Several years ago, Fayette County named the NRHS after Bob and Patty. The family would be touched if those who wish to offer a remembrance do so to Bob's dog shelter: Bob and Patty Korn Canine Cottage, c/o New River Humane Society, 513 Shelter Rd, Fayetteville, WV 25840. Bob's wife, Patty, died in 2017. He is survived by a sister, other family, and friends. Some of those friends celebrated his life recently with a "paddle-out" into the ocean, where his ashes were scattered as he had requested. Gloria Dawn McNeill Lara, 73, died of breast cancer on 27 January 2019 in Baton Rouge, LA. She was born in Carbondale, IL and was always proud to be from the Land of Lincoln. After reading the biography of Dr. Tom Dooley in high school, she decided to battle communism and joined CIA for whom she worked in Laos and El Salvador. In El Salvador, she met her husband and it was there they settled and had two sons. The family then moved to Antigua, Guatemala when the civil war in El Salvador started. After two magical years in Antigua, the family moved to the US and settled in Baton Rouge. Gloria came to love her adopted home state. She worked as the personal assistant to Louisiana Governor David Treen while devoting her energies to raising her sons and getting them off to college. She and Francisco traveled the world, but she always said that her heart belonged in Washington DC and Antigua, Guatemala. Her hobbies included politics, traveling, and entertaining, but her true passion was people. She is survived by her husband Francisco Lara Harrison; her sons Dr. Diego Lara and Rodrigo Lara, and other family. Edward Joseph O'Connell, 92, a CIA Operations Officer, died 26 January 2019 in Vienna, VA Edward was born in Worcester, MA. He received his degree in journalism from Northeastern University in 1952. He was a proud Navy veteran who served in WW II on the USS Trousdale AKA-79. He participated in the Invasion of Okinawa in support of the 10th Army. He was awarded many medals for his service including the World War II Victory medal, Navy Occupation Service medal, China Service medal, American Campaign Asiatic medal. In 1953 Edward joined CIA and retired in1984. He earned the Intelligence Medal of Merit and also the Career Achievement Award. He is survived by his wife, Alice Yaeger O'Connell, a son, and other family. Margaret Ellen Parke, 68, of Fairfax, VA, died 22 January 2019 in Miami, FL of an illness acquired during a Caribbean Cruise which had just ended. Ellen was born to a Navy family which lived in many different places in the US and around the world. They eventually settled in Washington, DC. Ellen attended Hollins College, Roanoke, VA, from which she graduated in 1971 with a BA in French, having studied a year in Paris. Following in her father's footsteps, Ellen joined Central Intelligence Agency, where she spent 34 years as an Intelligence Officer, including more than 15 years at multiple positions in Europe. Highly respected for her operational and analytical acumen, she spoke French and several other languages. She mentored many young CIA officers and left a lasting impact on subsequent generations of officers. After retirement, Ellen became an active volunteer with numerous organizations: her church, her college, with the Circumnavigators Club, an international organization of men and women who have circled the globe, and the Army-Navy Club of Washington. She was a Washington Nationals (baseball) fan. She is survived by a sister, and other family. A memorial service for Ellen will be held at St. John's Episcopal Church, Lafayette Square, in Washington, on Tuesday, April 2, at 1:30 pm. Robert Charles Schrott III, 78, died 11 January 2018 in Bowie, MD. Bob grew up in Pittsburgh, PA graduating from the Univ. of Pittsburgh with a BS in Geography in 1962. Bob spent a 34-year career as a photo interpreter with CIA's National Photographic Interpretation Center (NPIC). Following his retirement, he served as a consultant for Verizon and General Dynamics. He served as a Deacon at his church and served on the board. Bob loved to travel, having explored much of the US and Europe and traveling across Russia and China by train. He is survived by three children. Carl Joseph Schwab Jr, 75, a CIA Patent and Scientific Officer, died 18 January 2019 in Reston, VA of a heart attack. He was born in Byrn Mawr, PA and graduated from La Salle High School, Philadelphia. He held a BS in physics and a JD from Villanova University. A dedicated career public servant, working for the US Patent Office, NASA, and CIA, he was awarded the Career Intelligence Medal in 2002. He spent a lifetime doing what he loved, both professionally and personally. An avid gardener, he spent many hours working on his lawn and vegetable garden. He is survived by two sons and three siblings. John Henry Vandegriff, 89, an NSA Official, died of cancer 29 January 2019 in Bethesda, MD. John was born in Edgerton, OH and graduated from Ohio Wesleyan University in 1951. He attended New York University graduate program in TV and radio production until the Army grabbed him. He served in the Army until October 1953. He pivoted forces to the US Navy's Office of Intelligence as a civilian investigator and served as Resident Agent-in-Charge of the Cincinnati field office, and assignments with Commander US Naval Forces, Philippines and Naval District, Washington DC, June 1962. He transferred National Security Agency, retiring in 1985, after 35 years of service. He went on to become Security Manager, GTE, and then investigator for Computer Science Corporation until 2000. Avocationally, he was active in the Sons of the American Revolution, Friendship Heights Rotary, Head of set design for the Chevy Chase Players, with his church, a food pantry driver with Bethesda Helps. He was a member of the Naval Criminal Investigative Service Association, Kenwood Country Club Board of Governors, Ohio Wesleyan Alumni Board, Sumner Village Activities Committee, and Life member Sigma Chi. He is survived by his wife of 63 years, Judith Rice Vandegriff, three children, and other family. Morton Sobell, Last Defendant in Rosenberg Spy Case, Is Dead at 101. Morton Sobell, who was convicted in the Cold War spy trial that delivered Julius and Ethel Rosenberg to their deaths and divided the nation for decades, died on Dec. 26 in Manhattan, his son, Mark, confirmed on Wednesday. He was 101. Mr. Sobell, whose death was not reported at the time, had lived in the Bronx and then on the Upper West Side and had recently been in a nursing home. Serving 18 years in prison until 1969, Mr. Sobell asserted his innocence until 2008, when, in an interview with The New York Times, he startled his defenders by reversing himself and admitting that he had indeed been a Soviet spy. Ms. Nancy Charles-Parker, former Operations Officer/Economic Reporter and Foreign Service Officer, had a distinguished 33-year career in government service. Her most interesting "war stories" stem from Saudi Arabia, where businessmen and government officials generally treated her like an "honorary man". The experiences she will share originate in her U.S. embassy assignments in South Africa, Central Asia, South and Central America, Europe, the Arabian Gulf and East Asia. The program starts at noon. Fee: $20 by check or cash at door. RSVP: Luncheon reservations and arrangements for base access for those without military ID must be made by Tuesday, 5 February, by contacting the Chapter Secretary, michaels@suncoastafio.org. COST: Member and spouse: $27; Non-Members/Guest: $29; Student or active duty military: $25. TO ATTEND: Advance, paid reservations are required and must be received by 7 February 2019. Make your meal choice from the following two options for self and any guests you are bringing: 1. Strawberry Salmon, pan seared salmon with a strawberry & balsamic glaze (F), or 2. Vegetarian Lasagna, layers of pasta, three cheeses, spinach and carrots, baked in a zesty marinara sauce (V) Both with Chef's Choice of Potato or Rice, Seasonal Vegetables, Freshly Brewed Coffee, Iced Tea, Soft Drinks, Salad and Rolls. Vegan, vegetarian and gluten free on advance request. Dessert is Chocolate Mousse. Send check covering fees per person plus meal choice for self and guests to:Chapter Treasurer Rhonda Rhoads, PO Box 410158, Melbourne, FL 32941. Or email her at afiofsctreas@gmail.com. Questions? Email Rhonda or call her at 321-626-4465. You are invited to attend a lecture by Dr. David Charney about his new NOIR White Paper, "Prevention: The Missing Link for Managing Insider Threat in the Intelligence Community." The event is being held at the Institute of World Politics graduate school in Washington, DC. There is no charge to attend. The event is co-sponsored by the IWP Alumni Board. Though there is no fee to attend, preregistration is required. Register or explore more about the program here. To read the White Paper, it is available here. Takeshi Komoto, Minister of Trade, Industry, Business and Energy, Embassy of Japan in Washington DC, will talk about the evolution of Japan's trade relationships with the US and the way forward on trade policy in the digital age. RSVP Required HERE. Daniel Morgan Graduate School Reserves the Right to Refuse Entry and May Ask for Government Issued ID. Dress Code is Business or Business Casual. 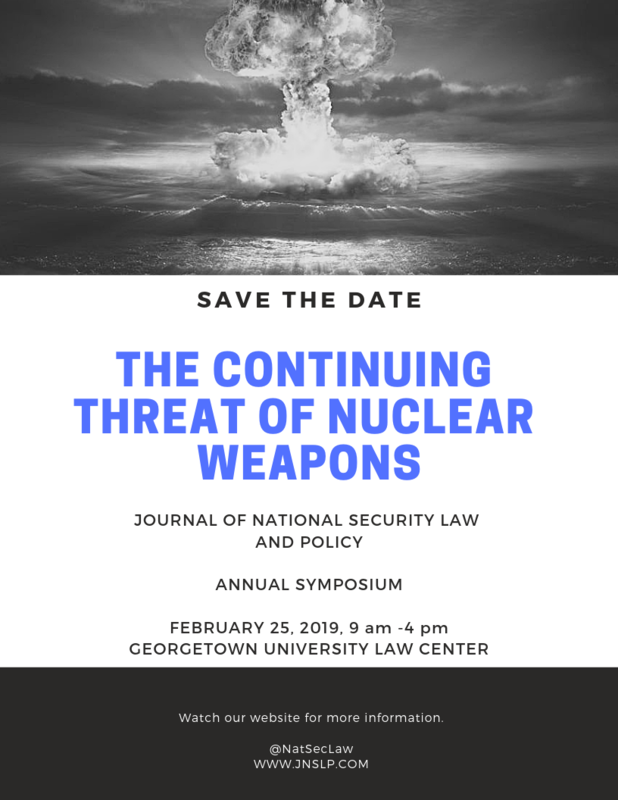 This year's Journal of National Security Law & Policy symposium is "The Continuing Threat of Nuclear Weapons," and is brought to you by the JNSLP, the Georgetown Center on National Security and the Law, and the Georgetown Center for Asian Law. The symposium will be held on the 12th floor of the Gewirz Student Center. Directions and map here. In addition to the following three panels, the symposium will also feature a lunchtime keynote speech by Joseph Cirincione, President of Ploughshares Fund. INTRODUCTORY REMARKS by Stephen Dycus, Professor of Law, Vermont Law School. PANEL 1: Banning Nuclear Weapons? Panelists: Adam Mount, Senior Fellow and Director of the Defense Posture Project, Federation of American Scientists; John Burroughs, Executive Director, Lawyers Committee on Nuclear Policy; Alexandra Bell, Senior Policy Director, Center for Arms Control & Non-Proliferation; Moderator: David A. Koplow, Professor of Law at Georgetown Law. PANEL 2: U.S./Russia Nuclear Relations. Panelists: Michael Krepon, Co-founder/Senior Associate, Stimson Center; Bonnie Jenkins, Nonresident Senior Fellow, Brookings Institute; Adam Scheinman, Former Special Representative of the President for Nuclear Nonproliferation, Dept. of State; Moderator: Dakota Rudesill, Assistant Professor of Law, Ohio State University Moritz College of Law. LUNCHEON AND KEYNOTE ADDRESS by Joseph Cirincione, President of Ploughshares Fund. PANEL 3: Nuclear Weapons Issues on the Korean Peninsula. Panelists: Scott Snyder, Senior Fellow for Korea Studies and Director of the Program on U.S.-Korea Policy, Council on Foreign Relations; Joel S. Wit, Senior Fellow and Director of 38 North, Stimson Center; Sue Mi Terry, Senior Fellow, Korea Chair, Center for Strategic and International Studies; Moderator: James V. Feinerman, Co-Director, Georgetown Center for Asian Law. RECEPTION will follow the event. Qs? : Email Journal of National Security Law and Policy here. Bryant Neal Viñas, 'American Al-Qaeda' tells his story at the new, expanded International Spy Museum at their new location in L'Enfant Plaza. In 2009, Bryant Neal Vi�as, an American born in New York to a family of Catholic Hispanic immigrants, pleaded guilty on charges of conspiracy to murder U.S. citizens, and for providing material support to Al-Qaeda. The media referred to him as 'American Al-Qaeda' and reported his intriguing journey from the New York suburbs to Pakistan to attack U.S. military forces in Afghanistan. Vi�as proceeded to cooperate with law enforcement and intelligence officials, in what has been described as a "treasure trove" of valuable information about the inner-workings of the Al-Qaeda network. What was the nature of Vi�as's radicalization? How does a Western-born jihadist get through terrorist training in Pakistan? Event Location: The "Expanded" International Spy Museum, 700 L'Enfant Plaza SW, Washington, DC 20024. Directions or Map Location here. Additional information or questions can be handled at NCMF Office at cryptmf@aol.com or call 301-688-5436. The PENFED Foundation hosts their impressive annual "Night of Heroes Gala 2019" at the beautiful Mandarin Oriental, 330 Maryland Ave SW, Washington, DC 20024. This year marks the 15th annual gala honoring our unsung heroes ― military children. Each year, the PenFed Foundation raises more than $1.5 million for military heroes through this hallmark event. Last year's event sold out and raised $2.5 million! Do not miss your opportunity to support Military Heroes.